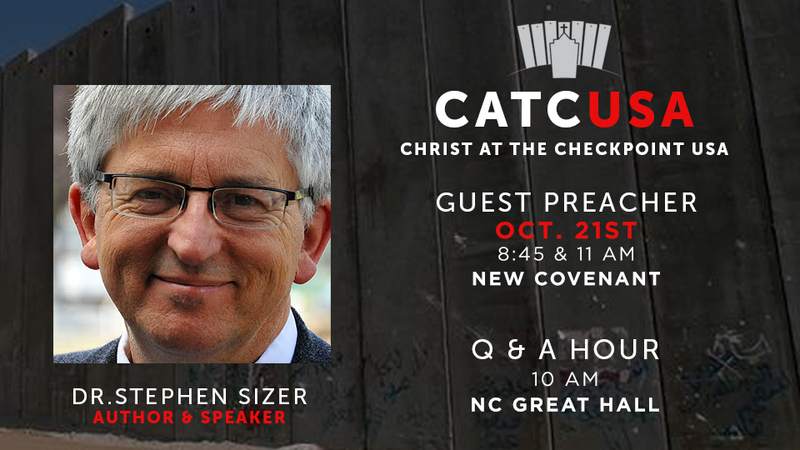 On October 21st we will have a guest preacher, Dr. Stephen Sizer, during our 8:45 and 11:00 am worship. During the Sunday School Hour, there will be a Q&A in the Great Hall – from 10:00-10:50 AM. Dr. Stephen Sizer is an advocate of peace, a speaker on issues of minority persecution, and an author of several books and articles about Christian Zionism. He is a highly sought-after speaker and will be one of the presenters at Christ at the Checkpoint here in OKC the prior week, so we’re blessed to have him at New Covenant.